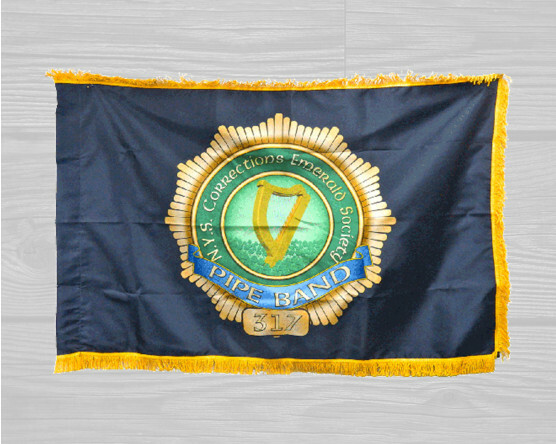 At Gettysburg Flag Works, it's easy to create your own custom digital flag! To make your own flag, all you need is a design, logo or photograph. Utilizing the latest digital printing technology, we create full color, detailed designs to be printed on nylon, polyester, vinyl and other materials. The high quality, durable print can be used to print bold, saturated colors or softer, photographic design. 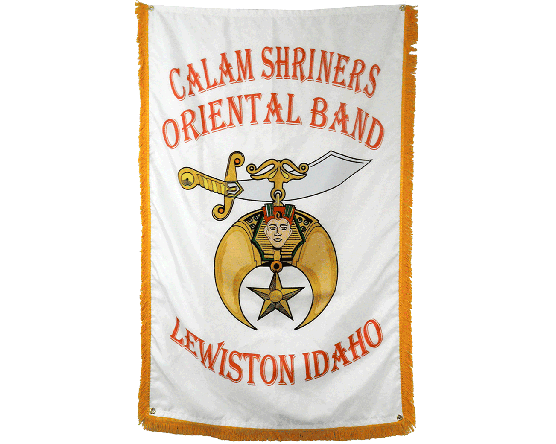 Our custom-printed flags can be either single or double sided, and virtually any size. Ready to make your own custom flag? It's easy! Submit a quote request or call us at 1-888-697-3524 to get started! 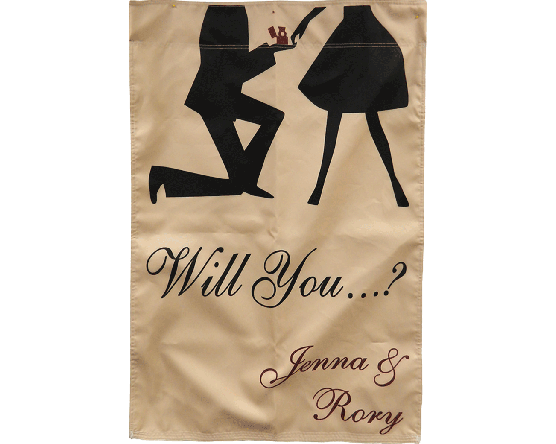 What Are Custom Digital Printed Flags? 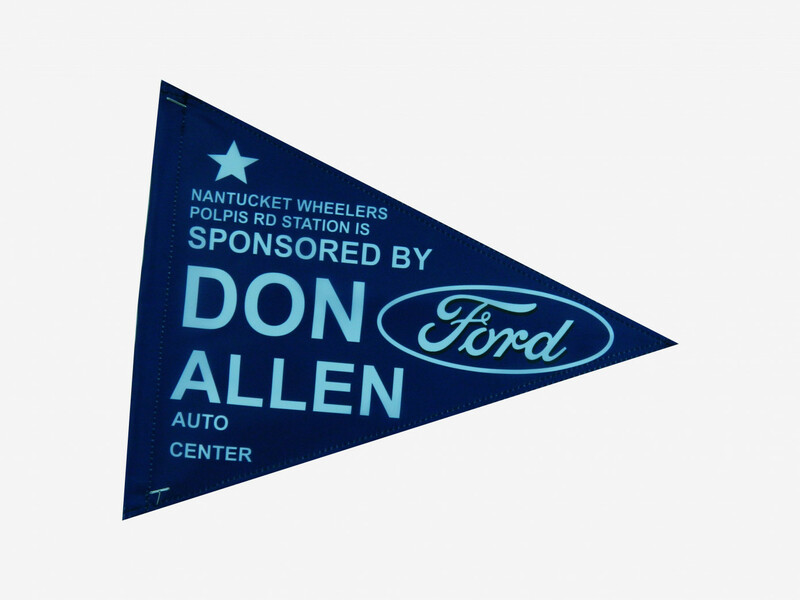 Most custom printed flags today are made using a version of digital printing. It's taken the place of the time consuming screen printing processes with all of the smelly inks and design limitations. 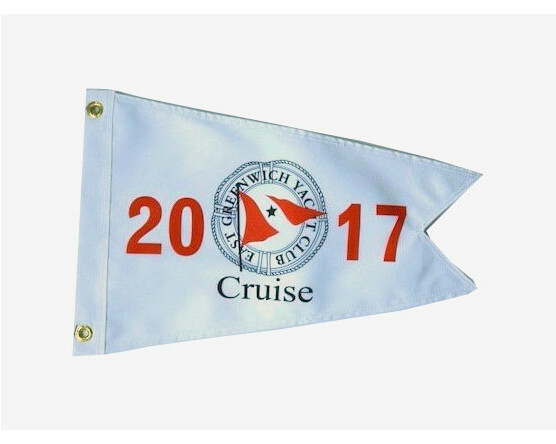 By using digital printing in the manufacture of custom flags, we can print any amount of details and any number of colors onto fabric! Some printers print directly to the fabric and others print on paper which is used to transfer the design to fabric. We use a combination of the two, depending on your custom flag size and the quantity being made. These machines are inkjet like the printer on your desk but use specialty inks to create the permanent results needed for outdoor display. 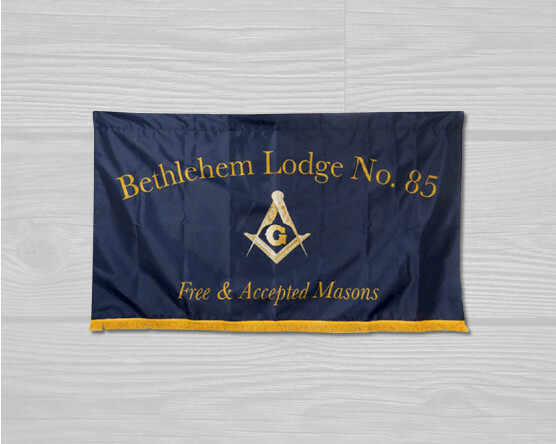 When Should I Choose a Digitally Printed Custom Flag? Nearly any flag can be made using the digital print process. 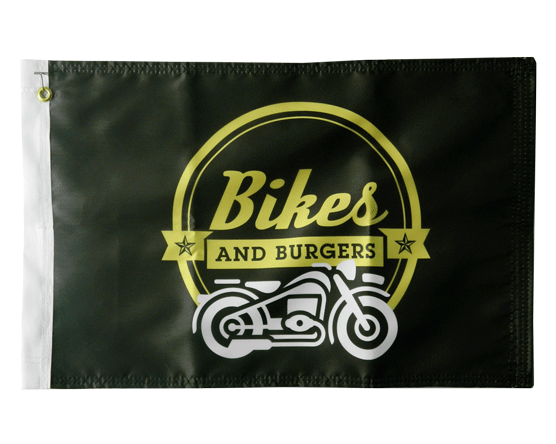 Printed flags can be single sided or double sided and can be any size. 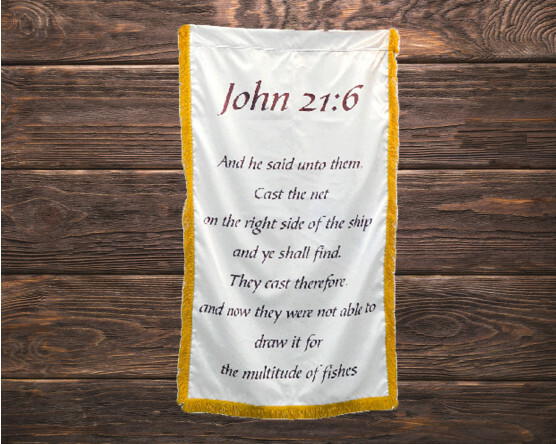 A custom digitally printed flag is durable enough for outdoor use or luxurious enough for display in your church sanctuary. There are only a few reasons not to choose digital print. 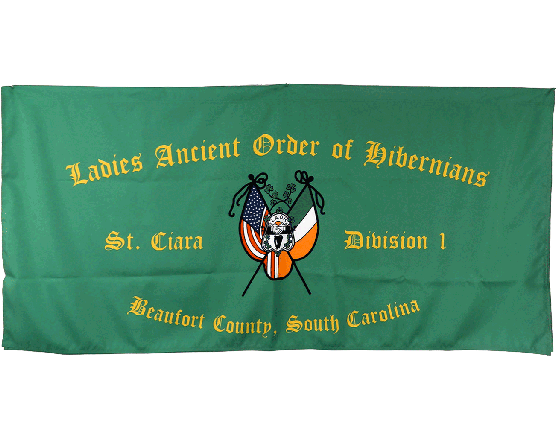 Historical flags replicas are often done in cotton or wool fabrics. Neither of those are able to be digitally printed. For a luxurious, sewn feel, embroidery or Applique may be more desirable than digital print. Making custom printed flags is easy! It all starts with a quote. To quote a printed flag or banner, we'll need some details about the finished product. We need to know the finished flag size, if it will be single or double sided, and how many flags you'd like to order. Please use the quote request form on the website or call one of our sales members at 1-888-697-3524 to start the quoting process. Once you've received your quote and placed your order with your salesperson, the order goes to our graphics department. 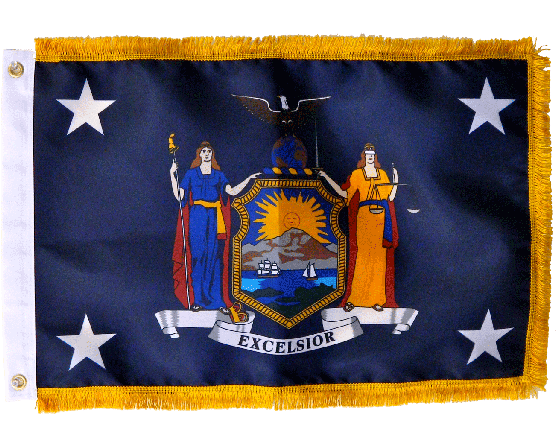 Here, your custom flag will be designed to scale and a proof will be emailed to your for approval. Just email your artist with any changes or to approve your printed flag, and they will then send it to production. 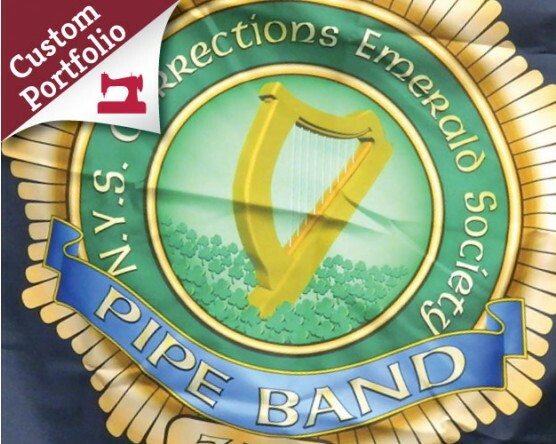 Our production teams will then take care to print your design onto the fabric of your choice. Our expert sewing staff will carefully finish your flag with reinforced stitching and either a sleeve or grommets for mounting your new flag. Production typically takes 2-3 weeks but your specific timeline will be agreed upon during your quote and order process. Rush orders are often available depending on our current work load. Ready to get started? To submit a quote request, contact us online or call us at 1-888-697-3524. We look forward to helping you create your own custom flag!